Epagogix helps studios to identify, enhance and deliver on-screen success, and guides investors in the creation of winning film and television-related investments. 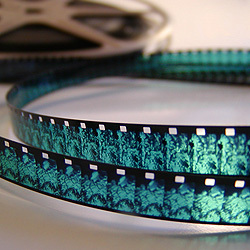 Epagogix works confidentially with the senior management of major film studios, large independents and other media companies, assisting with the selection and development of scripts by identifying likely successes and probable 'Turkeys'; helping to quantify a script/project's commercial success; and advising on enhancements to the Box office/audience share potential. Epagogix's approach helps management of this most critical financial risk by delivering accurate predictive analysis of the Box Office value of individual film scripts, and by identifying and quantifying how and where to improve their commercial value. If requested, Epagogix sensitively bridges the gap between the financial and creative aspects of film production by providing quantified insights and advice to those responsible for script development. Hedge Fund and Investment Managers work with Epagogix, determining highly targeted, non market-correlated risk/reward strategies for asset allocation, and developing fund-raising vehicles.